Blackheads can be a satisfying bunch: A little bit of gently applied pressure and out pops your pore’s icky contents. Or, if you’re really looking for maximum impact, one pull of a pore strip, and a legion of teeny-tiny black dots stares back at you. But what if nothing oozes with each squeeze or no black dots are yanked loose by that sticky strip? What then? In those cases, those dark specks on your nose, forehead, cheeks and chin are likely not blackheads at all. Rather, they’re sebaceous filaments. 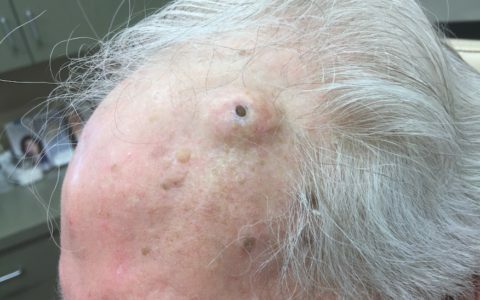 Wait… What’s a sebaceous filament? To understand sebaceous filaments, you need to understand the skin you’re in. Your skin is covered in hair (even your face is covered in peach fuzz), and every hair follicle contains said hair and a sebaceous gland that produces sebum (oil). Believe it or not, this oil is meant to keep your skin moisturized; it was the original “facial oil” that evolution intended for you. This is where sebaceous filaments step in: Comprised of triglycerides, wax esters and squalene, sebaceous filaments reside in the lining of your pores, and their primary function is to channel the flow of sebum along that lining into the skin to moisturize it. For many people, sebaceous filaments will never become a visual nuisance — these filaments only become visible when the lining of your pore fills up with sebum. But for people with oily skin or enlarged pores, sebaceous filaments can rival the appearance of blackheads, although sebaceous filaments’ look more light grey or tan, rather than black. 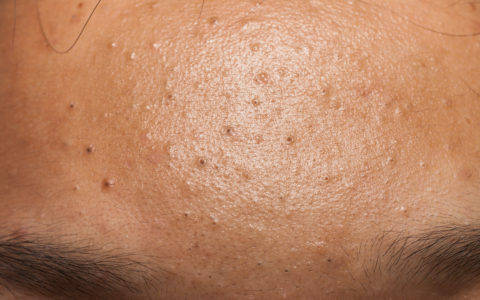 So how, exactly, is this different from a blackhead? Sebaceous filaments couldn’t be more different than blackheads! Think of how they work: Their whole reason for existing is to help oil flow seamlessly to the skin — minus any pore-clogging back ups. On the flipside, if sebum production runs rampant (and, for a lot of people, this is the case), problems can arise, and that’s when blackheads strike. When dead skin cells, impurities, dirt, bacteria, and, yes, sebum build-up in your pore, they can clog up the opening and will come together to form a blackhead. 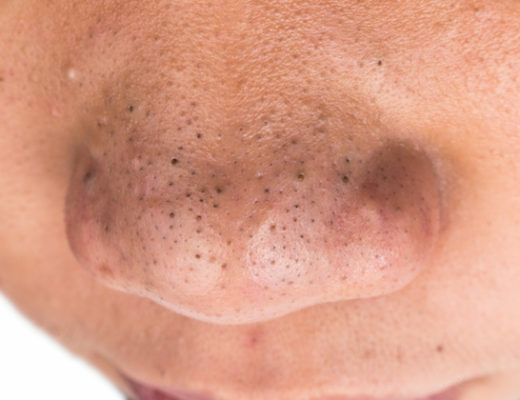 And though we drew the link between sebaceous filaments and blackheads similar appearance, blackheads get their name due to how their gunk turns black due to oxidization when exposed to air. Want to properly extract your blackheads or sebaceous filaments? Use a comedone extractor — like this one from Dr. Pimple Popper! 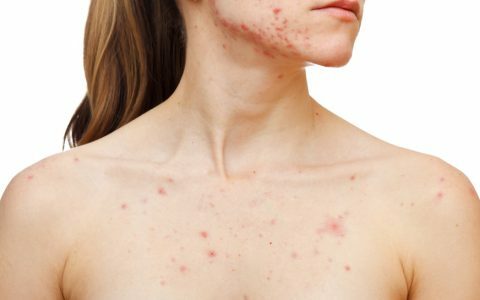 So why do sebaceous filaments pop up on my T-zone? The easy answer: Because sebaceous glands are highly concentrated around your nose and forehead, sebaceous filaments are more robust in these areas, too. Though you may be tempted to rid your skin of these tiny gray specks, you can extract them (they look like a tiny, hair-like piece of wax — ew), but this won’t eradicate them; they’ll fill back up within 30 days anyways. They are a part of your pore structure, after all; they’re yours for life! The good news: Sebaceous filaments tend to lie flat against the skin, so you can’t really feel them (unlike blackheads, which can have a slightly raised border), so the temptation to pick at them shouldn’t be too high. What you can do: Adopt a regular regimen of cleansing and exfoliating to keep pores clean and clear of excess sebum and debris; this way your sebaceous filaments can continue to wick oil effectively — without clogging up and forming a blackhead. Can I treat blackheads and/or sebaceous filaments?! Of course you can! The best way is to use an exfoliating face wash or treatment that clears out clogged pores. We love Salicylic Acid for that reason — it’s a BHA, which means it’s perfect for diving through the oil on your skin to get deep into your pores and clear away all that dirt, bacteria, and dead cells that are clogging them up and making them unsightly. Salicylic Acid is also great for breaking down the natural sebum that fills up those pores to form sebaceous filaments. Our favorite SA face wash is the SLMD Skincare Salicylic Acid Cleanser. 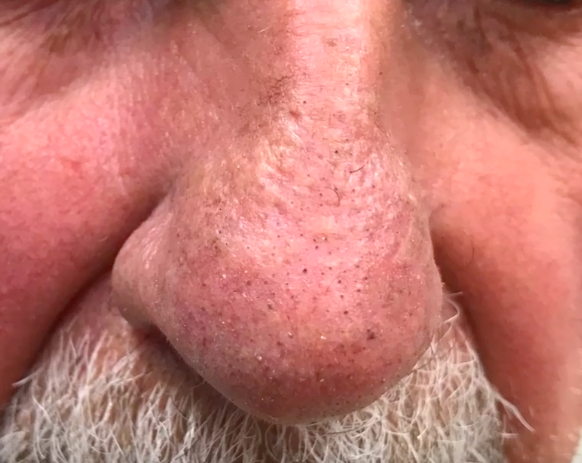 And remember: Try your best to resist the urge to pick at or squeeze sebaceous filaments or blackheads; for the former, you’re fighting a losing battle that could damage your skin, and for the latter, you could exacerbate the problem by spreading bacteria and dirt or, worse yet, cause irritation and permanent scarring. If you simply can’t keep your fingertips off your face, visit your dermatologist for a session of sanitary extractions. Or, if you’re really itching to extract, purchase a medical-grade comedone extractor, like this one from Dr. Pimple Popper, to make sure you’re safely and sanitarily ridding your skin of blackheads. Dr. P, what are some products that could be used for cleansing and exfoliating for males if they have sebaceous filaments within their t-zone? Wow! All these years I thought I had black heads, but they are sebaceous filaments. Do you have any tips for shrinking them or making them appear less noticeable? Thanks very much for taking on the sebaceous filament. Finally, the answer! It has been unexpectedly difficult to find clear information on the humble filament. The Pretty Pimple knows. Thanks again. I love the second video. I’ve watched it a few times before this. That man sounds like he’s got a great sense of humor, especially his comment about being tied to the chair. Learning about skin problems is great, but the best part of your videos is your relationship with your patients! What about oily white pimples that aren’t really pimples. More like greasy things when they are popped. My husband gets these on his nose. Sometimes a lot, and sometimes just a few. When they heal though it looks like he took a cheese grater to his nose, and his nose is red where the scabs are. It looks so painful, but he says it doesn’t hurt.